This new in box unused 20 inch tall "A Christmas Story" Leg Lamp by NECA is a genuine prop replica from the beloved holiday classic! No Christmas is complete without the family sitting down to watch Ralphie's misadventures. 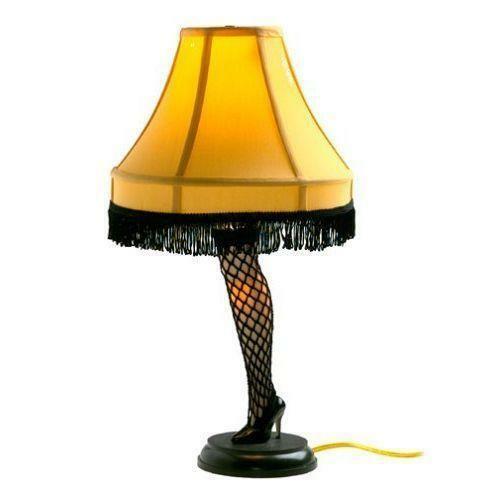 Now you can light up your room with a comical leg lamp, just like the one in the movie! Full Size Shade, fishnet stocking leg - Main lamp light uses a 40 watt A-15 bulb, not included. The leg center light uses a 5 watt type "C" bulb. Plug the lamp in and the leg lights up as well as the bulb under the lamp shade. Items Similar To "New! 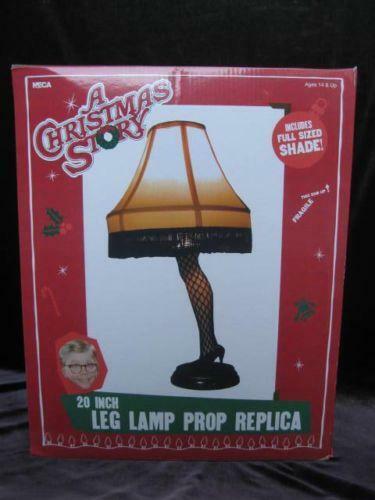 A Christmas Story lighted 20" LEG LAMP prop replica from mov..."